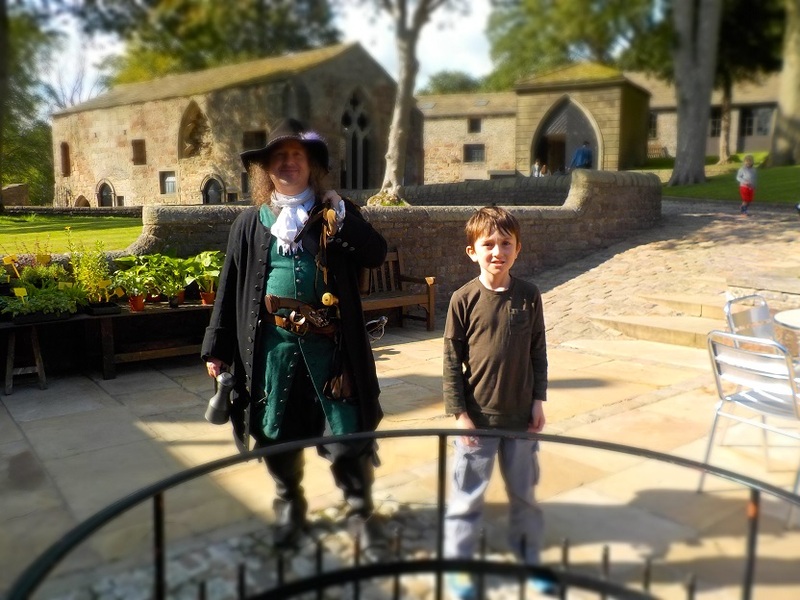 Once again this August the notorious highwayman John ‘Swift Nicks’ Nevison was forced to hide in Skipton Castle until he could make his getaway after dark. 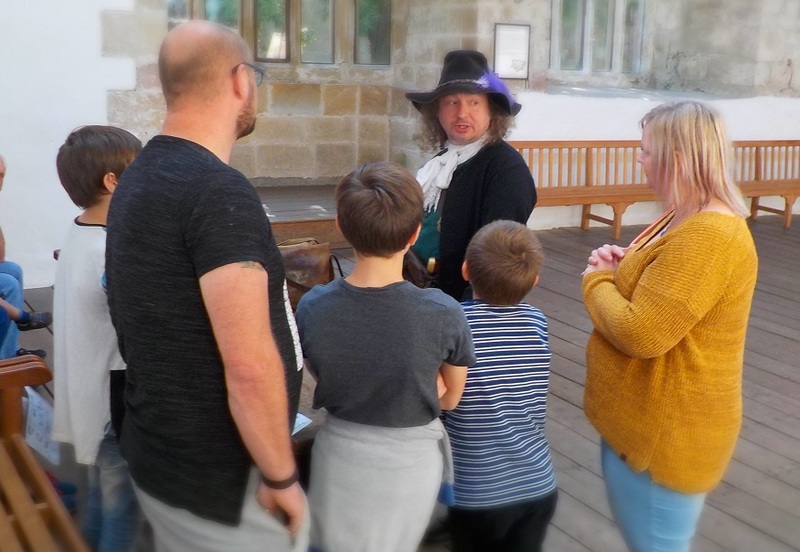 Luckily, the castle steward commonly frequents the town’s gaming tables and consequently owed Nevison a considerable sum of money – a debt the highwayman was willing to forget in return for protection. It is also a good thing that the Dowager Countess of Pembroke is so often at one of her other castles, for I doubt she would agree to such a notorious robber within her walls! 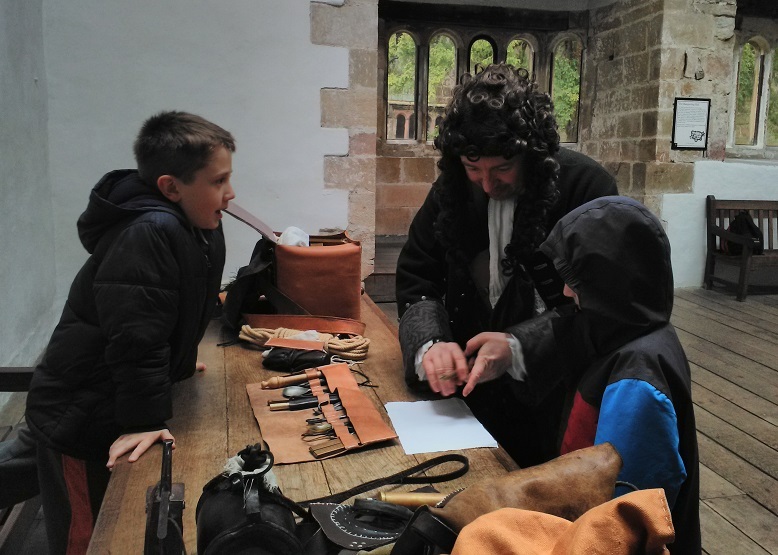 On Saturday Nevison had lots of company, allowing him to carouse throughout the day with all and sundry, boasting of his brave exploits and many cunning tricks. 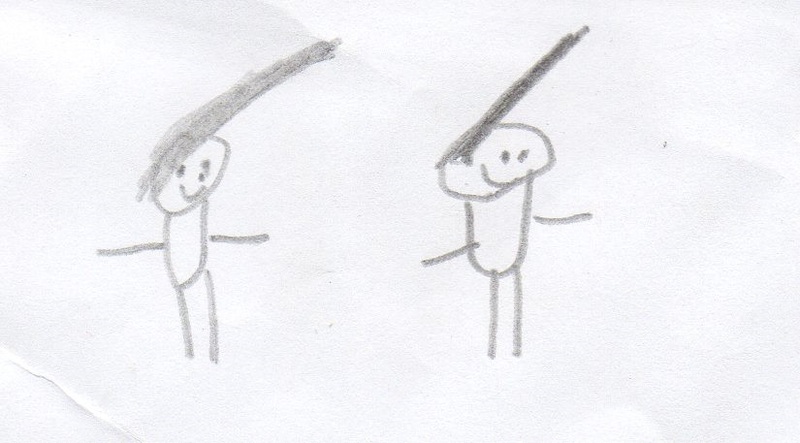 No-one pointed out, however, that whenever he removed his hat it left a strange line around his forehead! Still, better there than a similar line around his neck! 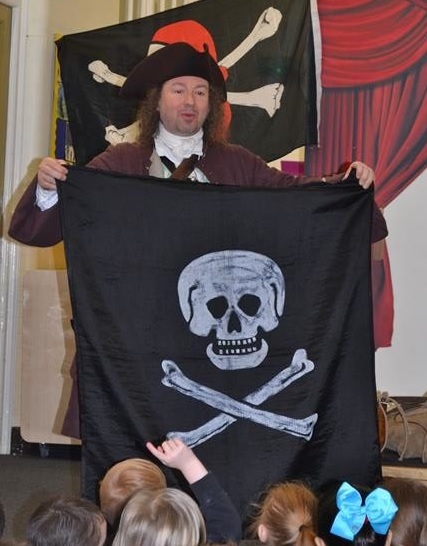 He met with a lot of children too, many of whom he reckoned would make good ‘land pirates’, being brave and good fellows all. Some of the people he met were so poor they could afford neither hats nor coats or even sleeves for their shirts! He reckoned that a spot of highway robbery could lift them very quickly from their miserable condition. His own son visited on the first day, and the two of them played a strange trick in which both were there but one was not. And at the end of the day it was hard to say farewell to the little chap, but Nevison had had so much fun he wanted to stay another day! 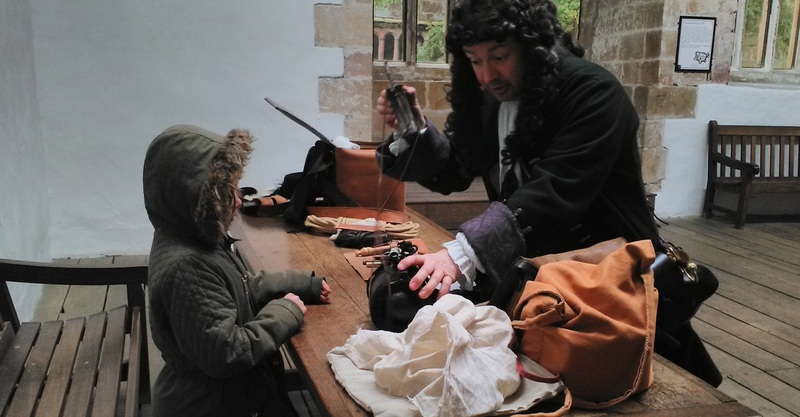 On Sunday it rained, which was lovely because huge crowds gathered in the Great Hall to hear his stories, and Nevison was able to correct all sorts of lies that had been written about him. All who visited now knew him to be a true gentleman of the road, like Robin Hood reborn, and knew to ignore the libelous stories printed about him in the news-sheets. 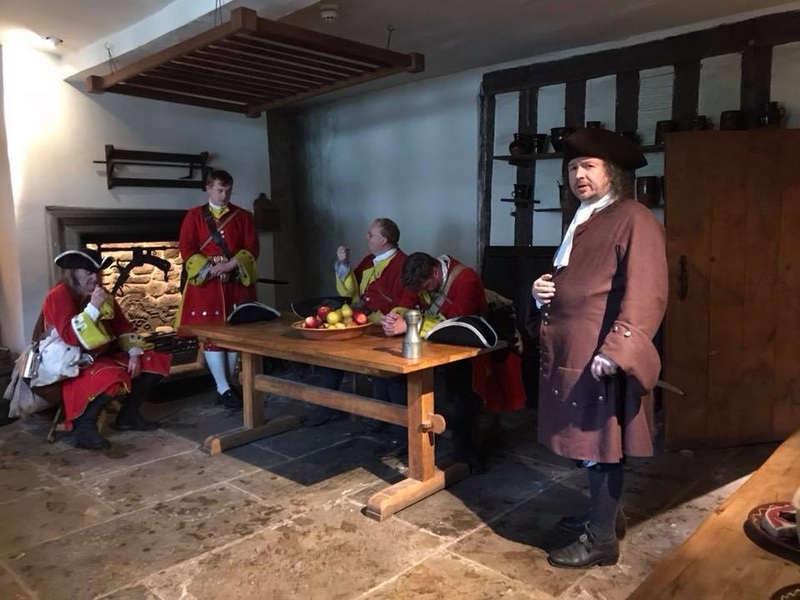 As the day came to an end I think the highwayman felt very good about himself, for although he knew full well he could hardly expect a long life (yet a very merry one), at least he would not be turning in his grave subsequently! Nevison already has plans to visit quite a number of schools over the next 12 months, but he is always on the look out for new places to hide for the day! 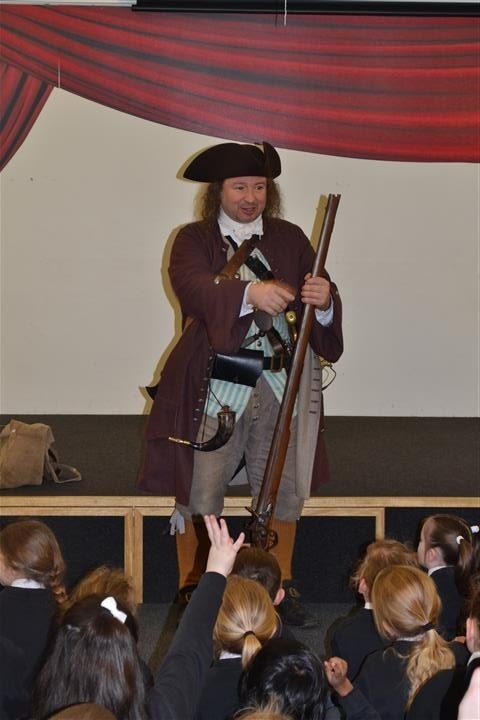 If you are interested in Nevison visiting your school, then please click on Swift Nicks Nevison to find out more about him. 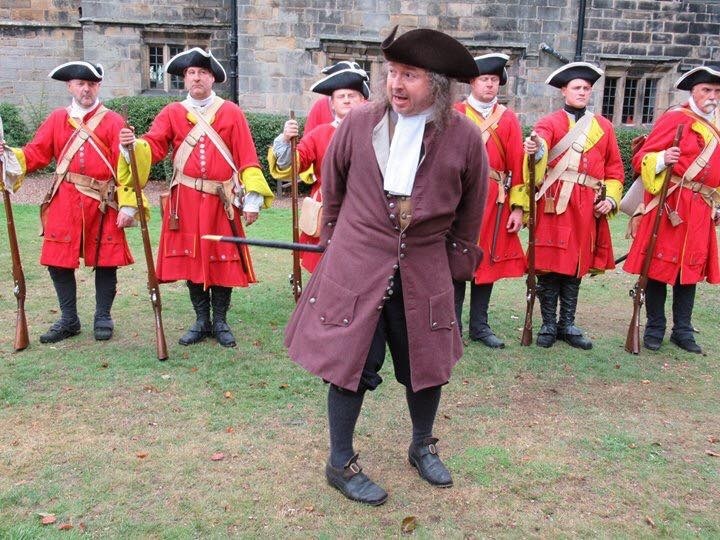 To see which of my other historical characters you might want to visit, please take a look at my page of Characters. I look forward to hearing from you. 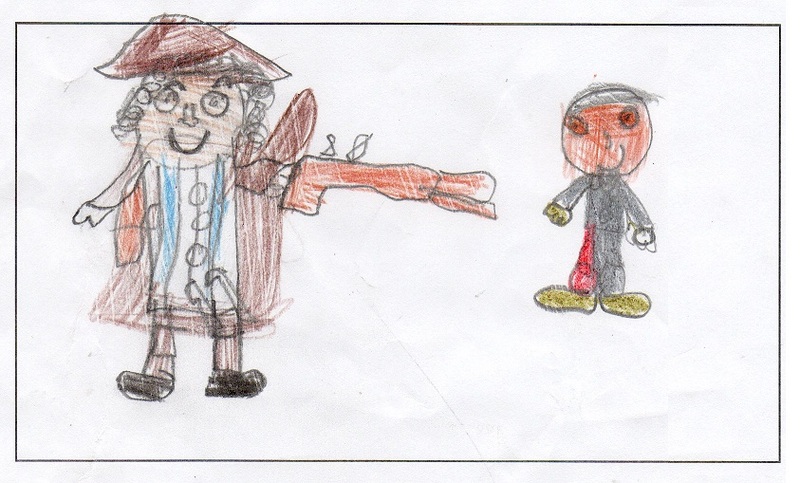 My characters have had a very busy Spring and early Summer term. This week is the first time bookings have eased off, allowing me – among other things – to put together this post. 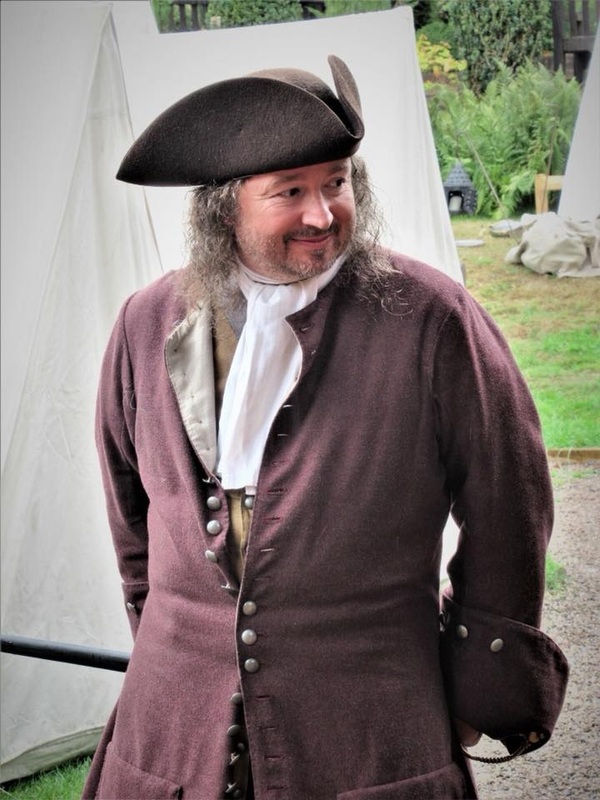 As always, two of my characters have dominated, being my Great Fire of London character Sir William Petty, and the pirate Captain Burwash, although recently my highwayman John Nevison has made a lot of appearances too! 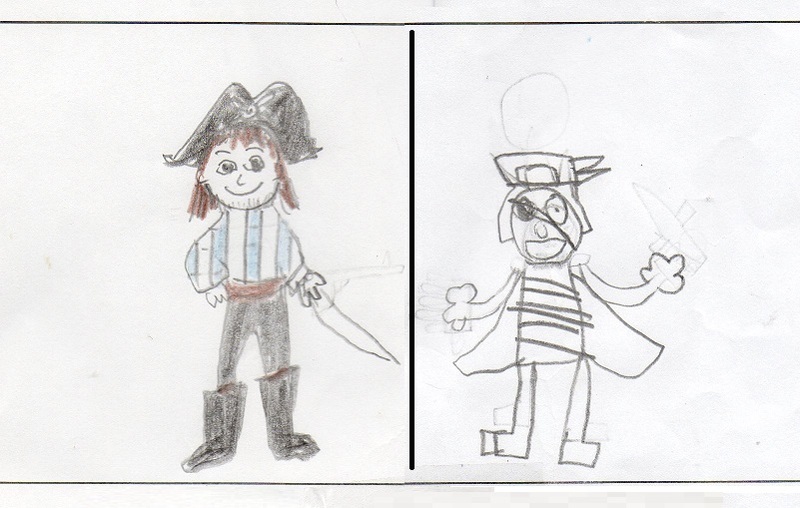 Over the years I seem to have done more news stories about my pirate, so this time it will be Sir William’s turn. 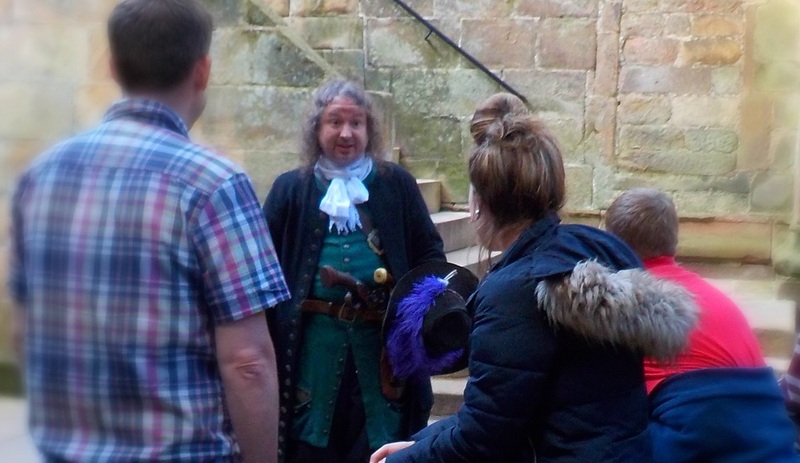 Sir William Petty has two guises, one (very popular) in which he tells the story of the Great Fire and the other (very rare as it is still in-development) in which he travels forwards in time to the present day. 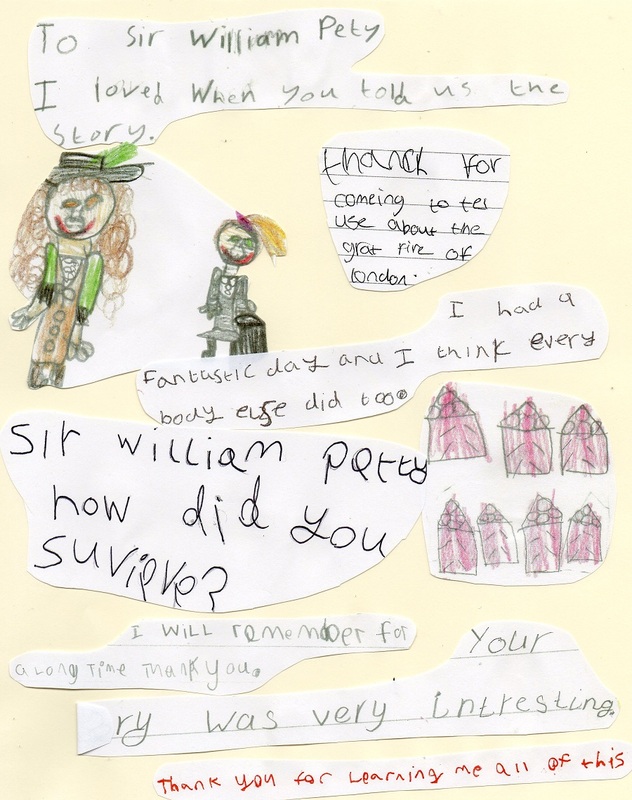 One February trip took Sir William to Wombwell’s Park Street school. The teacher Sarah Allen wrote afterwards that the children “thoroughly enjoyed” the day, and that it gave them lots to talk about. The children also sent a very big bundle of thank you letters, and so I have made collages of their dramatic pictures of the fire and of some of their written comments. 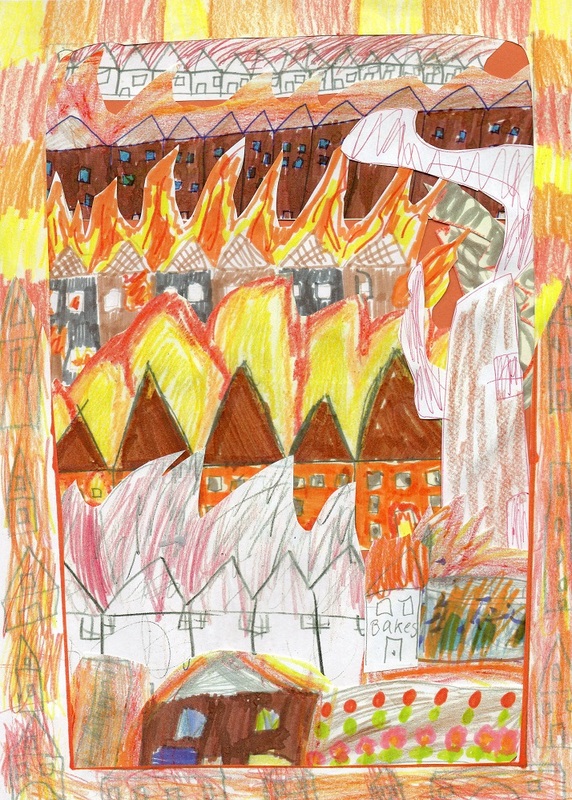 Here you can see London burning – each street is from a different child’s picture! 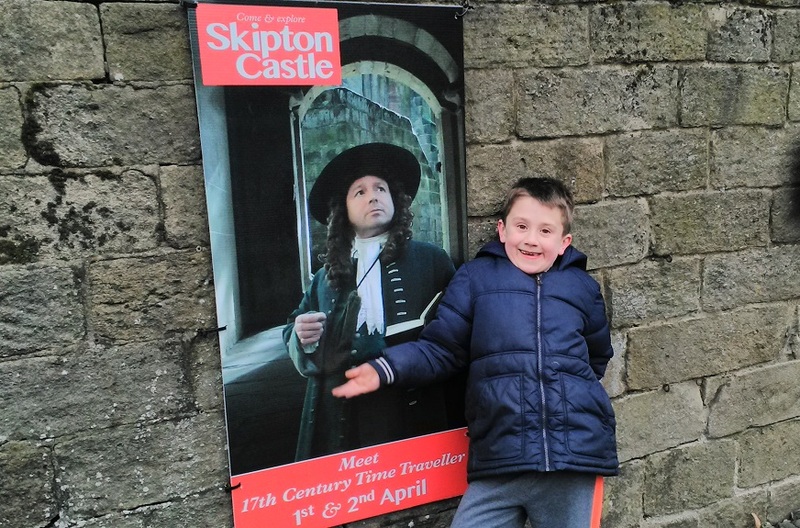 A little boy called Thomas came to see Sir William at Skipton Castle this Easter and saw a big picture of the man himself outside. 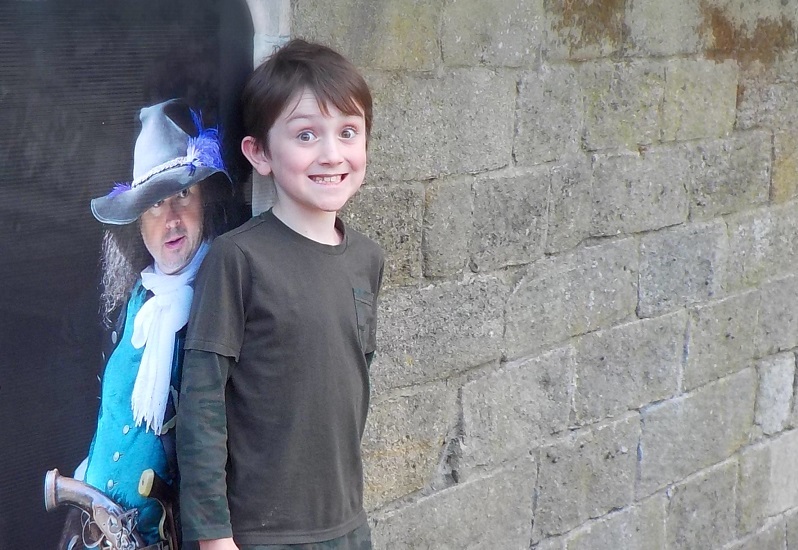 He was very surprised to see that Sir William looked extraordinarily like his father. 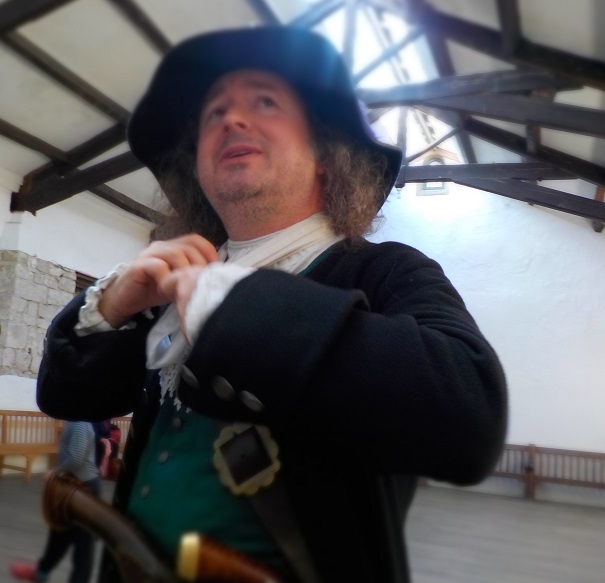 Please click on the Great Fire of London to find out more about Sir William Petty, and on Captain Burwash to find out more about my pirate character. 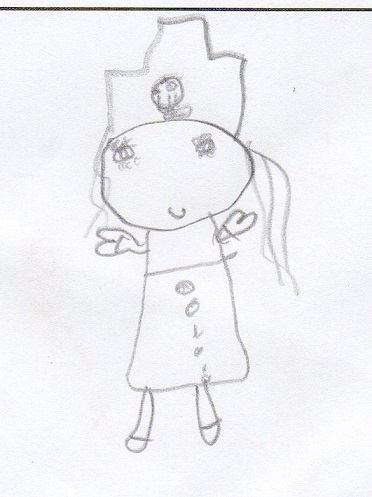 To see which of my other characters you might want to visit, please take a look at my page of Characters. 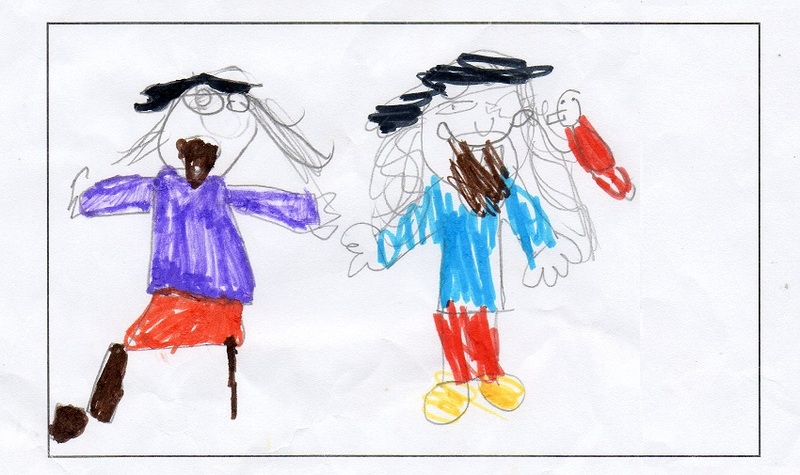 If you want any of my characters to visit your school, please do get in touch.